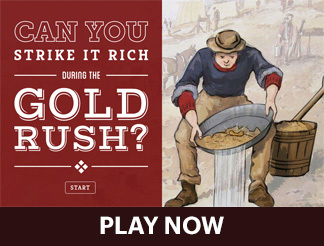 This interactive is available FREE to play online now! 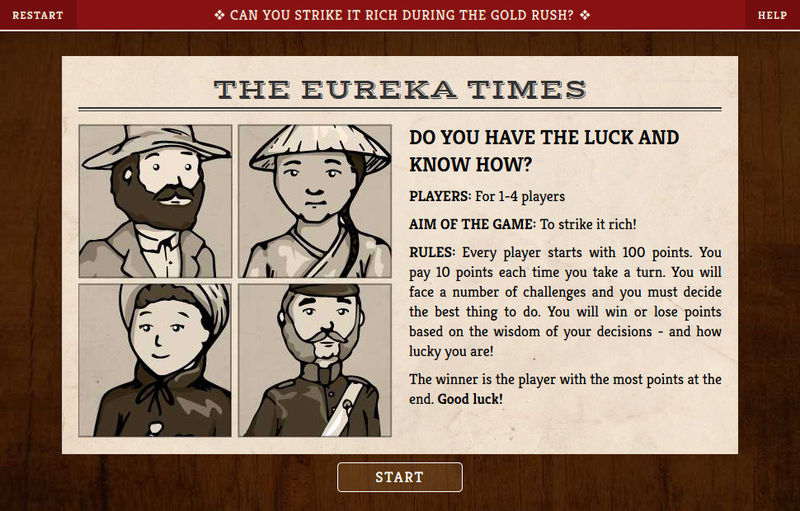 This decision-maker – Can you Strike It Rich During The Gold Rush? 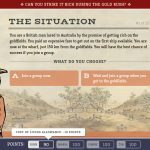 – will help you understand some of the experiences faced by hundreds of thousands of people during the Australian gold rush period in the second half of the nineteenth century (1850–1900). 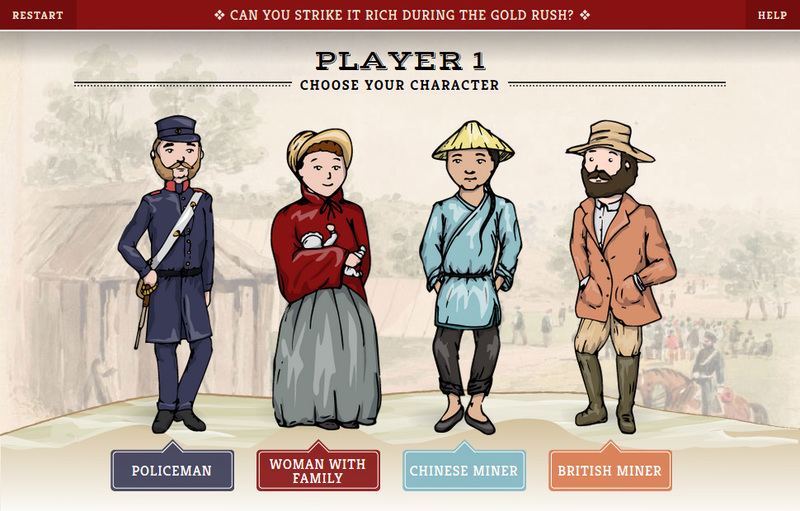 Put yourself into the situation of a gold seeker — a British miner, a Chinese miner, a woman with a family, and a policeman — and make decisions about circumstances and situations that they typically had to face. 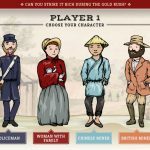 You can play with one, two, three or four of these characters at the same time. You can do this by yourself, or with a small group. 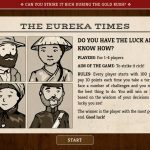 The aim is to end the game with the greatest number of Wealth Points you can. You gain or lose points according to your decisions in the different situations. 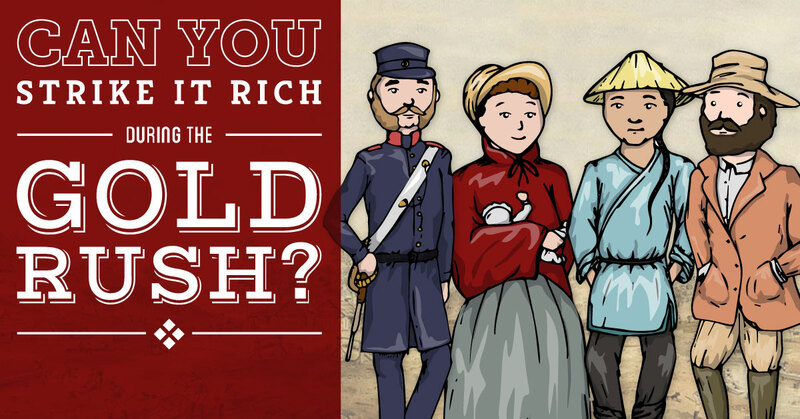 But some of the situations involve moral judgements, so sometimes you may have to decide whether you are going to go for gold regardless of the morality of decisions, or whether you will put right behaviour (and good citizenship) above profit-making. Every character starts with 100 Wealth Points. 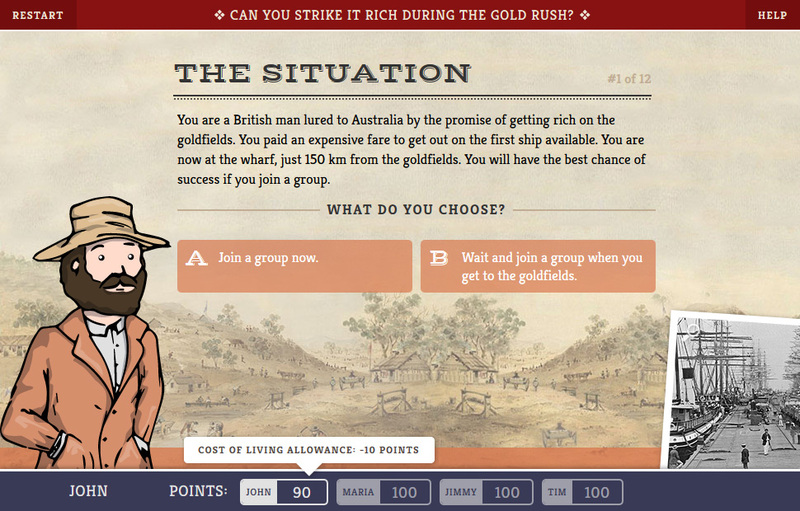 As they progress through the 12 situations the have to pay 10 wealth points to play. 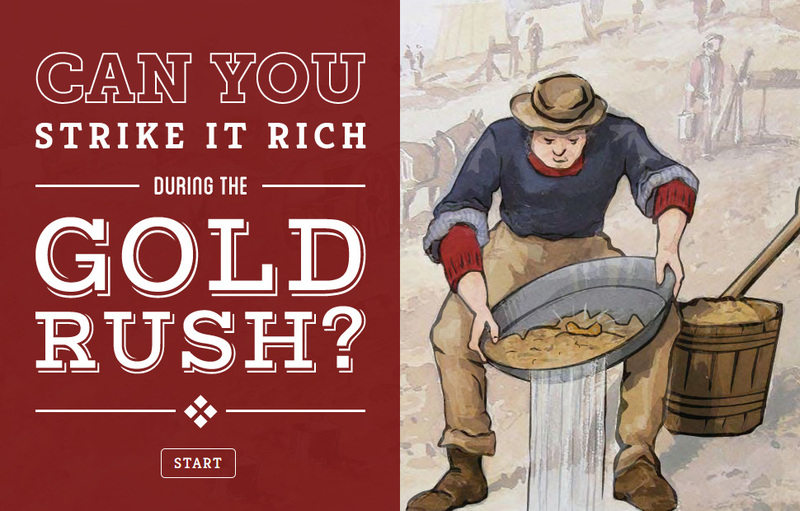 This represents the cost of living over time on the gold field. When you choose an option for each situation, you may gain Wealth Points, lose some, or stay as you are, depending on what you choose. 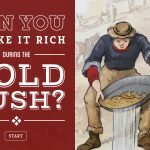 At the end you will be able to see your final points — and decide if you have failed as a digger, been moderately successful, or have hit the jackpot and struck it rich!